The importance of a good scuba light can't be overstated. Unless you're swimming in a crystal clear lagoon things are going to get pretty dark quite quickly. Chances are good that you already know that. Some of you may not. Either way, everyone needs a solid list of the best scuba dive lights. What Makes These The Best Scuba Dive Lights? "Best" being a subjective term, it's important that the context is established. There are a number of factors that must be considered, but some factors are more important than others. This is perhaps the most important factor since it directly affects battery power. It also affects how much control you have over the light output. These two factors combined are the infrastructure from which all other considerations are built. A light that's easy to hold with strong light output may sound great, but if it's a steady output then it's too bright for higher depths and a constant drain on the battery. Meanwhile, people are often willing to deal with an awkward tool if they know it's dependable. While it may seem as if you want as many options as possible, that's not necessarily true. That being the case, consider what you need the light for. Is it a primary light or a backup light? How often do you dive? Do you have a rechargeable battery or not? These will all affect what power output you want. In general, you'll want a light that hits between 500 to 1000 lumens, up to 1200 if you go into darker waters. However, there are a few caveats. If you dive in dark water with a high concentration of particles then higher lumens will cause reflections. This could compromise your ability to see. Realistically you'll only need one to two power settings, a high-power and a low-power setting. As a sub-section of Power Output, there are three types of light bulbs; halogen/xenon, LED, and HID. Halogen/xenon light bulbs are the classic flashlight bulbs. They can produce powerful beams of light but they drain battery power quite quickly. LEDs have become the standard battery these days. They're durable as well as energy efficient, and they don't corrode as quickly over time. HID bulbs produce light that's twice as bright as LEDs and use only half the battery power. As you might suspect, these lights are rather expensive. This is probably the second most important factor. Once you allow for power levels (and therefore the light output) then the size and shape of the beam is the next step in functionality. Just like with power output you're going to want multiple settings. A narrow beam is great when you want to target a smaller area, a wider beam spreads over a wider area. So you'll obviously want at least two. However, you may not know that beam sizes can be much more versatile. As an example, you may want to pinpoint an area further away. You want a beam wide enough to circle the area, but not so wide the light diffuses. You've no doubt used flashlights before, so the scenario is easy to imagine. That's a third setting you might want. Again, what you consider the best scuba dive lights will rely quite heavily on what you need. 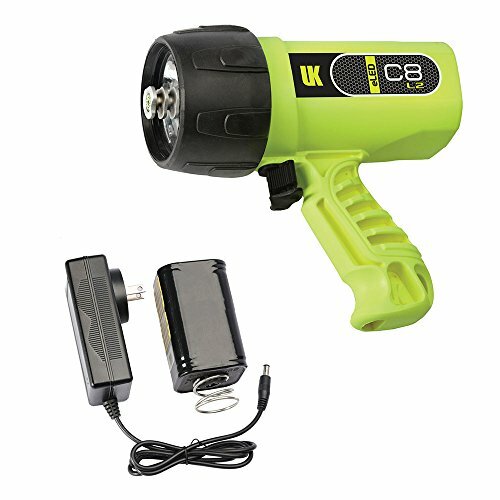 Are you looking for a primary scuba dive light or a backup one? You've likely already answered those questions, so there's no need to go over them again. Much like the word "best", ease of use is often subjective. However, there are several things that make a scuba dive light objectively easier to use even if you don't mind using one without those features. A pistol grip is a great feature on any scuba dive light that gets regular use. It's the most functional hand-grip for the human hand and allows for ease of movement. A softer pistol grip is always better, but some people do prefer plastic molded around the natural shape of the fingers. A holster or clip also makes a dive light objectively easier to use. When you don't want to carry it, you want it to be easy to set down. Being able to clip it to your belt, your tank, or simply holster it means you can free your hands without worrying about losing your light. 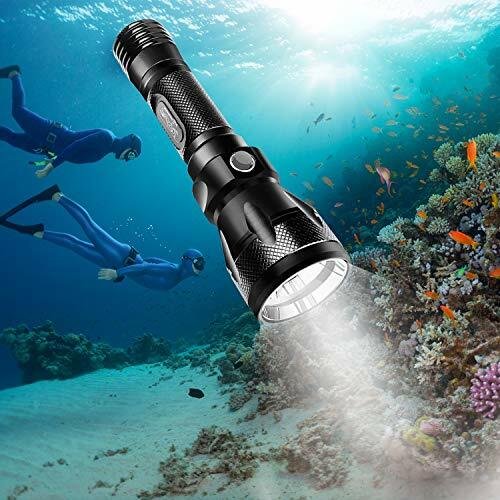 Durable casing not only makes a dive light easier to use, but it's mandatory if you dive on a regular basis. A person who makes regular dives simply can't afford to have fragile equipment, not unless they want to buy a new light every other dive! Other factors may influence a person's ultimate choice, but these are the most important. In general, you want rechargeable batteries, 2 to 5 power settings, and 3 to 5 beam settings. The diving weight of this light is low (clocking in at only 285 grams), and it also features two highly illuminating light modes. The first is a 500-lumen spot mode for lighting up a specific area of focus. For a broader reach, this light also offered a 1200 lumen flood light for a larger view of what’s in the dark parts of the water. This is incredibly powerful, so keep in mind the problems with particle-ridden waters. This light does have some downsides though. The big one is that Light and Motion uses propriety technology in its batteries. While the battery is a lithium-ion device that can be recharged by plugging it into a wall outlet as readily as a smartphone if these batteries sustain any damage, one will need to return the product to Sola. Unfortunately, it has only two light settings, bright and even brighter. Great if you dive in dark waters, not so great otherwise. While the batteries are rechargeable, you'll have to recharge them often. This dive light from Scubapro is a more minimalist light. The product is fairly lightweight with an aluminum casing for durability. 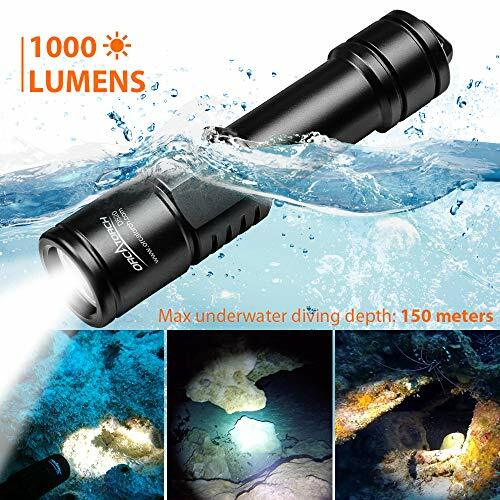 It features a 700 lumen light that is fairly bright even in the darker regions of the waters, and can definitely handle enough water pressure to survive medium depth dives. Let's talk about downsides first. It only has one light beam setting. The batteries are rechargeable, or rather the battery is. One battery, singular. Which is sold separately. You also have to buy the recharge kit separately. This adds to the price, so keep that in mind. The upside is a feature that keeps the light on but lowers the power output of the battery. This means you can extend battery life when you don't need the full brightness, which is essentially a second power setting. This makes it a great backup light if you're a casual diver, but if you're a serious diver looking for a dedicated light then this one probably isn't for you. The light is a 1000 lumens diving light, which means you probably shouldn't even consider it if you're not deep-sea diving. The light can handle trips downwards of 150 meters, however, which means if you're using this light to full capacity then the 1000 lumens is more reasonable. The light's on/off switch is used by twisting the front rather than hitting a switch. This does mean you'll be less likely to accidentally turn it on or off. The first disadvantage is that the light has a hard time piercing murk and dusk underwater. It's hard to overemphasize how much worse visibility becomes with a bright light in murky water. Cold water also puts it at a disadvantage since it makes the twist on/off switch more difficult to use. Given the fact it's being billed as a deep-water light that does lower its functionality. All that said, ORCATORCH lists this light as a backup light. Given that fact, it's hard to get upset that it doesn't work as a primary light. Either way, it's a durable light that works great as a backup. The 1000 lumen flashlight can reach up to 100 meters, though as always murky water makes it tougher. Intended for up to 150 meters deep and fishing work, the XML-2 is focused mostly on casual divers. It draws its power from a 18650 battery that isn’t included but can be easily found elsewhere. The light does, however, make the best use of its battery power. Even beneath the water at 90 feet, the battery stays active for an hour. It also offers three different beam settings; bright, dim, and strobe. 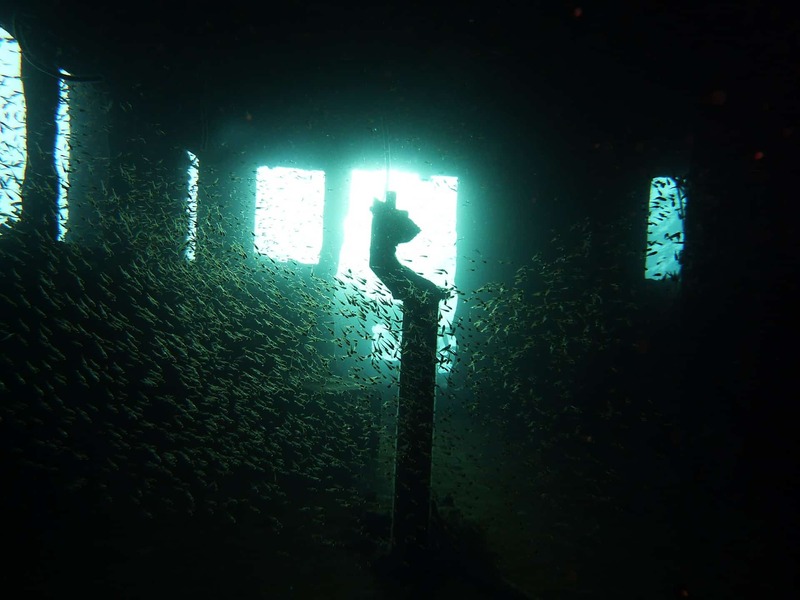 Bright and dim are obvious, but the strobe light can be quite useful for scaring off sea creatures. If you do a lot of diving with critters, it might be a good idea. The major disadvantage of this light is that it won't hold up in salt water. In point of fact, the light is somewhat fragile in general. If you get sand in the on/off switch it can get stuck, and the battery must be removed if it doesn't see use for a while. Still, as a freshwater work-light, this might be the light for you. Possibly the second most advanced dive flashlight on the list, the C8 features an unusual pistol grip hold. Plenty of lights have one, but the C8 extends the similarities to a pistol by placing the switch to turn the light on like it was a gun trigger. The dual power light has high and low settings, with the high mode providing 1200 lumens. The low mode produces 560 lumens but lasts for upwards of five hours. 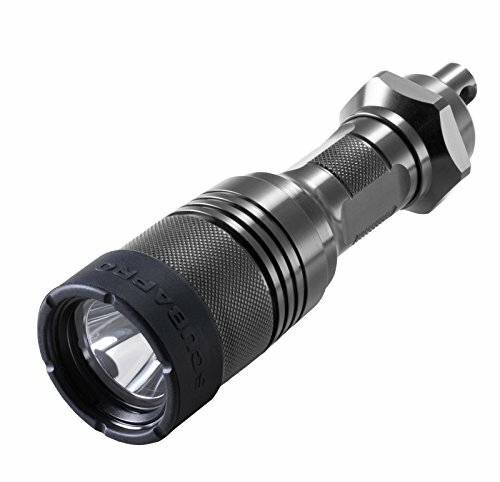 A focused flashlight, 90 percent of this torch’s light appears in the center of the light beam for maximum visibility, albeit in a smaller place. Of course, with a focused level of light, this does mean that the C8 is a poor floodlight. The dual-light settings address battery power, but the battery is built in. This makes the light weigh less but renders it non-functional should the battery break for some reason. Even so, this is another scuba dive light that may be great for professional work purposes. So which of these lights are the best? As you can see, the answer to that question has much to do with what you need. So do you need a brighter light or is a dimmer light acceptable? How durable do you really need? 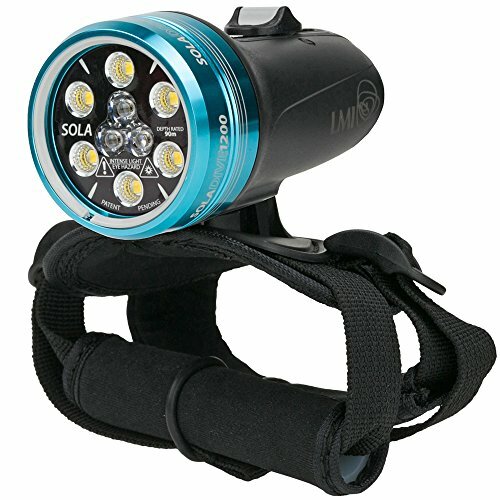 For a powerful light with a solid battery life, you probably want the Sola Dive Light 1200. The proprietary battery is annoying but there are few complaints about it. For a light for freshwater work purposes, you probably want the BlueFire XML-L2. And for all-around backup light, the ORCATORCH D520 is almost certainly the way you should go. What about if you're a dedicated diver who needs a solid primary light? Then you almost certainly want the Underwater Kinetics C8 eLED. Yes, the fact that the battery is built-in makes it a little bit more fragile. However, the pistol grip makes it incredibly easy to use and the batteries last up to 10 years. Whichever one you choose, take note of the fact that these lights all have some aspect of the best things to look for. Most of them have multiple power settings as well as beam types. They all have rechargeable batteries. If there has to be one "clear winner", the ORCATORCH D520 is probably the answer. It's strong enough to use as a primary light if needed and is rather durable even with the on/off switch issue. Still, "clear winner" is as subjective as "best", so it really comes down to what you want and need.